Maybe you, like me, have been wondering how essential oils are made. I’ve been using essential oils for quite a while, but I just never thought about it. In actuality, though, they are not really made, but already exist in plants and citrus. It’s just a matter of separating the oil or extracting it from the rest of the plant material. The oil is the liquid version of the plant. In this liquefied version, the oil, with all the benefits of the plant, reach the blood stream faster than if the plant itself, is consumed, which works faster to help your body. I didn’t realize there were several essential oil extraction methods. I’m going to spend some time introducing you to 4 methods of oil extraction and tell you a little about the process of each one. The 4 methods that will be discussed are: Enfleurage, CO2 Extraction, Distillation, and Cold-Press. One of the oldest essential oil extraction methods is Enfleurage. This has been around for 100’s of years, and is rarely used anymore. It is very costly and time-consuming, but there are some places like the Grasse region of Southern France that still use this method to extract oils from delicate flowers like Jasmine and Tuberose. These flowers continue to bloom and develop and give off their scent even after they are harvested. This extraction method uses cold fat, along with alcohol. Fresh flower petals or whole flowers are pressed into solid fat which has been pressed on a layer of glass. After the oil soaks into the fat, the petals are replaced repeatedly until the fat is saturated with the oil. Once the fat is totally saturated, alcohol is used to separate the oil from the fat. After the alcohol evaporates, the oil is left behind. This oil is known as the “absolute”. For the longest time, this was the only way to extract oil from delicate flowers. This is a fairly new extraction method which is also called supercritical CO2 extraction. In this method Carbon Dioxide is pressurized at a temperature of around 100 degrees. In this pressurized state it becomes a liquid but yet remains in a gaseous state and is then poured over plant matter in a tank. This works as a solvent to pull out the oils and other substances from the plants. As the CO2 returns to normal it evaporates, leaving the oils behind. The oils extracted using this method are of a higher quality because they have not been altered by the use of high heat that is used in other methods. They are closer in chemical composition to the original plants they came from. It contains more of the plants elements. And none of the oil elements are damaged by heat. This extraction method is very popular with the perfumery business. This extraction method, of all essential oil extraction methods, is the most common method of extraction. This is a method that has been used for 100’s of years like the Enfleurage method, but it is not as costly. There are 3 types of distillation methods. In all 3 methods, steam passes through the plant or flower and draws out the aromatic chemicals. 1) Water Distillation – The plant material is put into boiling water. The steam and oils are captured and then separated out, producing the essential oils. Clove oil is one kind of oil extracted with this method. 2) Water and Steam Distillation – Boiling water, and the steam it produces, is pushed around and through the plant material. As in plain water distillation, the steam and oils are captured and separated out, producing the essential oil. Nutmeg oil is one kind of oil extracted with this method. 3) Straight Steam Distillation – Just the steam is pushed through the plant material to pick up the essential oil. Lavender oil is one kind of oil extracted with this method. In all these Distillation methods, steam is used to rupture the oil membranes in the plant or flower to release the oils. The steam carries the oil to a condenser. As the steam reliquifies, the oil floats on top and is then siphoned off. It’s been found that low pressure and temperature is highly important when producing therapeutic grade oils. If the pressure and temperature are too high it affects the quality of the oil. The chemical elements that make up the oil can change when the oil is over heated, thus affecting the quality. This method is also called Expression or Scarification and is used specifically for citrus essential oils, such as orange, lemon, lime and tangerine. This method is cold and doesn’t involve any solvents or heat. The whole fruit is placed in a device that has spikes. This device mechanically pierces the peel of the fruit while the device is rotating. This action ruptures the oil sacs in the rind. The oil and juice are collected in a container placed under the device. The oil separates from the juice layer and then is siphoned off. Extracting the citrus oil in this way results in an aroma that is identical to fresh citrus peels. Now that I’ve gone through the 4 most popular essential oil extraction methods, just remember one thing. All plants/flowers are different and require the method that will give the highest quality oil. There is plenty of information out there to find out which method is best for each plant, flower or citrus. The method of extraction affects the quality of oil by how the temperature and pressure are applied. There are a couple more extraction methods that aren’t used much because they are either too new or don’t produce the highest quality of oil. They are the Solvent method, which uses solvents like ethanol; Maceration, which uses hot oil; and the newer ones, Percolation, which is similar to steam distillation, but the steam is pushed through the top of the container instead of the bottom; Phytonic Process, which is one of the newest and the extraction happens at or below room temperature. As you see, it takes a lot of work to extract those precious oils, that are so beneficial to our mind and body. I am a huge fan of essential oils and actually have a pretty large collection. I use them for everything. And I have always been curious as to how the oils are extracted. Thank you so much for sharing the different methods. I didn’t realize there was so much work involved. Thanks for reading! I’m glad you enjoyed the information I wrote about the extraction on oils. I really thought it was fascinating to learn how this was done. I didn’t realize, as you, that there was so much involved in bringing us these precious oils. I think we just take things for granted sometimes without giving a thought to them. And glad to hear that you are using essential oils also. They are an amazing gift to us. I absolutely love lavender essential oil and now I know how it is produced or extracted I should say. I was thinking of trying to do an extraction from my flowers at home mostly for fun–have you ever tried the distillation method? Looks like you might need some special glass tubings–no wonder why essential oils can get pricey. Thanks for reading, Anne! I think Lavender oil is one of my favorites. It has so many uses. As a matter of fact, we have just been ate up by mosquitoes this year and we’ve been using Lavender to soothe the bites. It works wonders. Usually bites will last a while on me, but I have been pretty consistent about putting Lavender on them and the itching is gone and the bites are almost gone. Love it! As far as extraction, no, I’ve never done any kind of extraction. You would need a lot of lavender to do it, and, yes, it could get expensive to get all the equipment. But it might be kind of fun, at that, just to do it. I don’t have that much Lavender myself. I would really like to know if you do it and how it turns out! I’m actually going to do a post just on Lavender essential oil, so come back and find out more about it. 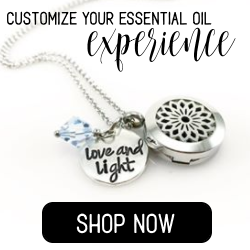 What a coincidence that as I am considering buying a diffuser for essential oils, I find your site! I never realized that there were so many ways to extract essential oils, and just assumed that “cold pressed” was the main way. As an engineer, I definitely enjoyed reading your article, and as a wellness enthusiast I found higher appreciation for the art of essential oil extraction. Thank you, Lynn! Janani, welcome to my site!! I was just like you, in that I didn’t realize what went in to extracting oils and the ways that it is done. I, myself, have learned a lot in bringing this information to others. I’m glad you enjoyed the article. If you haven’t done so already, check out my article on diffusers. It may help you decide.